Nanning Wuxu International Airport is situated in the Wuxu Township, about 20 miles (30 kilometers) from the Nanning downtown. Nanning Airport is modernized with a 25-acre (99,706 square meters) parking apron, five boarding gates and a 39-acre (25,888 square meters) terminal building. It serves over 50 air routes and supports a yearly passenger flow of about 2.5 million. Every year, a great amount of passengers travel through this airport. There are scheduled air routes to more than 50 cities in eastern, southern and western China, including Guangzhou, Shenzhen, Zhuhai, Shantou, Xiamen, Kunming, Chengdu, Guiyang, Shanghai, Nanjing, Wuhan as well as Beijing and Xi'an. Besides, 11 international flights that can take passengers to Hong Kong, Singapore, Kuala Lumpur, Bangkok, Djakarta, Ho Chi Minh, Phnom Penh, Rangoon, Vientiane, Seoul, Phuket and Cheju. The airport has two terminal buildings. But the Terminal One has been closed temporarily since September 25, 2014, and all departure and arrival flights are operated in Terminal Two currently. 1. In order to complete the boarding procedures in time, passengers may arrive at the airport 1.5 to 2 hours before departure time. The check-in counters are closed 30 minutes before flight departure. 2. If passengers do not have luggage, please check in through no luggage counters. If one gets an e-ticket, he/she can check in via the automatic check-in machine. Luggage Storage: Passengers can safely leave luggage at counters located in the Arriving Hall on the first floor and the Departure Hall on the second floor. Usually it charges CNY 5 per day in the daytime and CNY 10 per day in the night per piece of luggage. Luggage Packing: There are counters in the Domestic Departure Hall offering packing services, CNY 10 for one article. Luggage Carts: Passengers can easily find luggage carts at all arriving and departure halls. Bank of China (BOC): It’s located at the second floor of the terminal building. Industrial and Commercial Bank of China (ICBC): It’s located at the opposite of the terminal building. ATMs: There are several ATM machines at the right side of 1st floor, Domestic Arrival Hall, including Industrial and Commercial Bank of China, Agricultural Bank of China, China Construction Bank, Bank of China and SPD Bank. Airport Restaurant: Situated on the second floor of the terminal, the restaurant is open from 06:00 to 22:00. Fast Food Restaurant: Opposite the No.3 Boarding Gate, it provides tea, beverages, and fast food from 07:30 to 22:00. Café: Located in the Arriving Hall on the first floor, it is open from 07:30 to 23:30. On the second floor of the Terminal Building, it provides passengers with the services of parcel delivery, article transmission by post, regular mail, as well as a vendor for books, magazines, newspapers etc. It opens from 08:00 to 11:00 in the morning and 14:00 to 17:00 in the afternoon. Phone Booths: They are spread out on the first and second floors of theTerminal Building. Medical Center: Located on the west side of the first floor of the Terminal Building, it offers a 24 hour medical and first-aid service. Business Center: It provides the services of IDD, DDD, print, fax, etc. It is located on the second floor of the Terminal Building and opens from 07:30 to 22:30. Dressing Room: There are totally four dress rooms that located at the exits of Domestic and International Arrival. If passengers fly from cold areas, they can change some light clothes. Is it possible to leave my suitcases at Nanning Airport for two weeks? I will be arriving at airport but heading to Vietnam by train/bus for two weeks of travelling but then returning to visit family in areas a few hours away from downtown area. I don't want to be carrying all my luggage with me throughout my trip. I'm not very sure about that but you can contact the airport to verify it: 0771-2095123.
how can i go to guangxi university from nanning wuxu airport? Upon landing, you can take shuttle bus line 1 and get off at railway station first. Then take metro line 1 to Guangxi Unveristy directly. Can someone verify public area of Nanning airport (landside) is open 24 hours? Can i sleep on a chair at the public area of the airport? I arrive at the airport nearly 1 am and have to check-in at 6 am for departure flight to Phnom Penh at 8 am. Not intend to find airport hotel to sleep. Don't worry. I'm sure you can sleep in the airport. You can sleep on a chair at the public area of the airport. Is Nanning airport open 24 hours? Can tourists sleep in the terminal building? Yes, it is open 24 hours. And you can sleep on the chairs in the terminal building. Does the airport police allow passengers to sleep at this airport? Very hard to find a room for a foreigner. Most hotels in Nanning only accept Chinese nationals. Of course foreign passengers are allowed to sleep at the airport. You can have a try to consult whether there is empty room in the airport hotel. Is it safe to fly round-trip on the same day to the city in January? Is January weather chilly? Will there be rain and snow that should be avoided? Flight arrives in the city by Scoot at 1.50 pm and GX Airlines flight departs for Singapore at 4.05 pm. In airport how many hours before departure much passenger check-in? Unable to find airport hotel listing on Agoda. Don't worry. It is safe to fly round-trip on the same day to the city in January. And the weather in January would be chilly. A little rain would fall in this month. You may need about 2 hours to finish the transfer in the airport. You can take a rest on the chair in the airport. I bought GX Airlines one-way ticket to Nanning. From there depart for Phnom Penh via Guangzhou 7 hours later. Travel agent advised at least 3 hours before check-in. Is the airport Terminal 2 big enough for a tourist to sleep? Of course it is enough for you to rest. Don't worry. 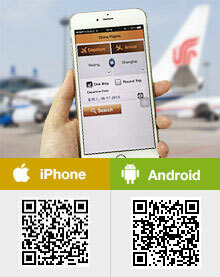 Any Airport Bus service after 12.50 am from Nanning airport? Is there any Airport Bus service from airport? GX Airlines arrives in NN from Singapore at 12.50 am. Generally speaking, the schedules of airport shuttle bus are accordance with the flight schedule. However, there are only a few buses departing in the evening, and the departure interval is longer. If you didn't catch the bus, just take the taxi to the destination.